Anyone seen these elsewhere before? 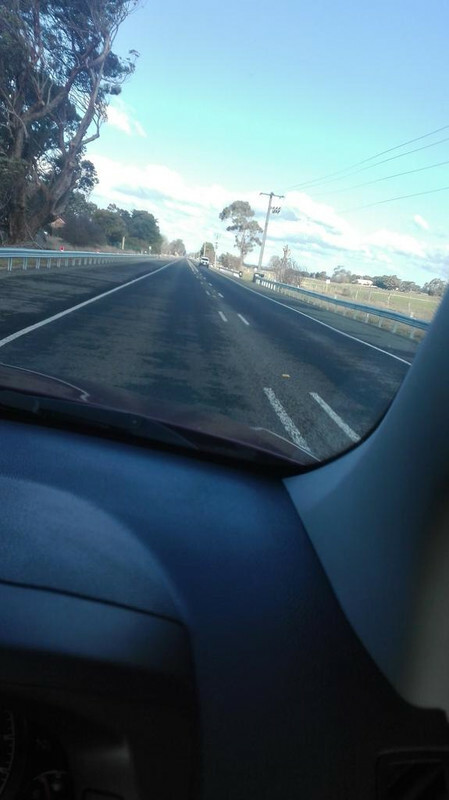 These appeared on the road between Sale and Maffra a couple of months back, about the same time as the safety barriers (seen in these pics) along the whole stretch of road (about 18kms) were completed. 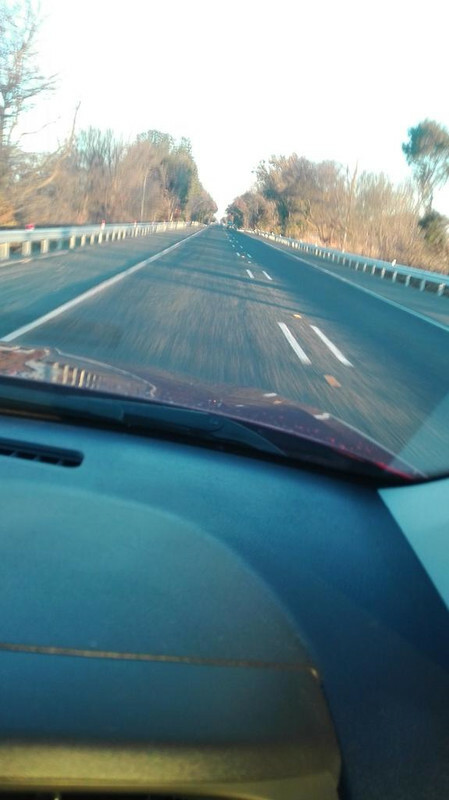 The first time I drove on the road, I thought they had made a mistake with the markings, or that, with the introduction of the barriers, they were re-aligning the centreline and just hadn't got around to blanking out the old markings. However, that does not appear to be the case and the dual markings appear to be deliberate. At each end (I couldn't get a pic of it unfortunately) the dual lines are actually painted converging back to a single marking. I wonder what the theory behind this style of marking is? No, not like that. Here’s a result from a search. A dividing line is a road marking formed by a white line or two parallel white lines (broken or continuous) designed to separate the parts of a road to be used by vehicles travelling in opposite directions. You must keep to the left of these lines (Examples 1 and 2). Must have been a lot of side-swipes or near misses on that stretch of road. At last, space saving Cyclist Lanes! 2017 Mustang Lightening Blue, Cobb Intercooler, CAI & AccessPort, Mishimoto Down-Pipe, Cobb Exhaust, GFB DV+, Custom CRD Tune Ford Performance Short Throw Shifter and Strut Brace. Thinkware F800 Pro. Thanks. Following your prompt, I did a google search and came across a Queensland government reference and this pdf. The article suggests that the wide strip may be placed to provide additional space when cars are passing other vehicles on the shoulder, and given these went in at the same time as the safety barriers, I suspect they are there for this scenario. Maybe Govco thinks we're all Myopic or is it more nanny ... "Can't see one line? ... There you go lambkins now there are two". 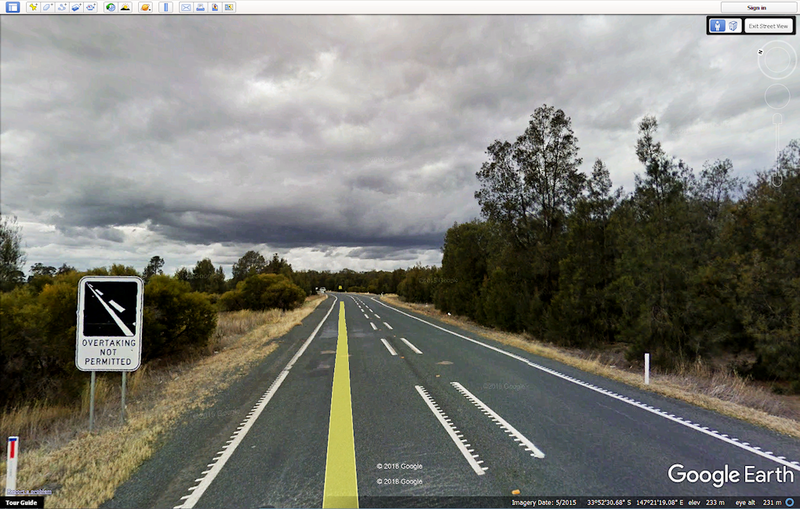 The first I saw of them was between Cooroy and Gympie as the road was being upgraded. There are signs that accompany them (up here) explaining the rules but a lot of people won't overtake on them at all. Actually, a lot of people won't overtake unless it's dual lanes so maybe it's not confusion with the newish line markings. They've been in NSW Nth of West Wyalong for quite a few years now. 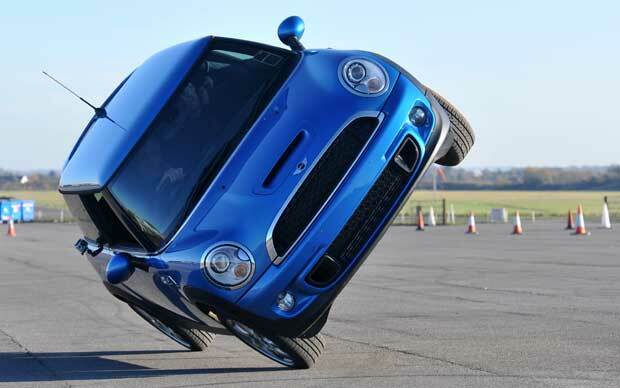 The idea behind them is to keep drivers away from the centre of the road. 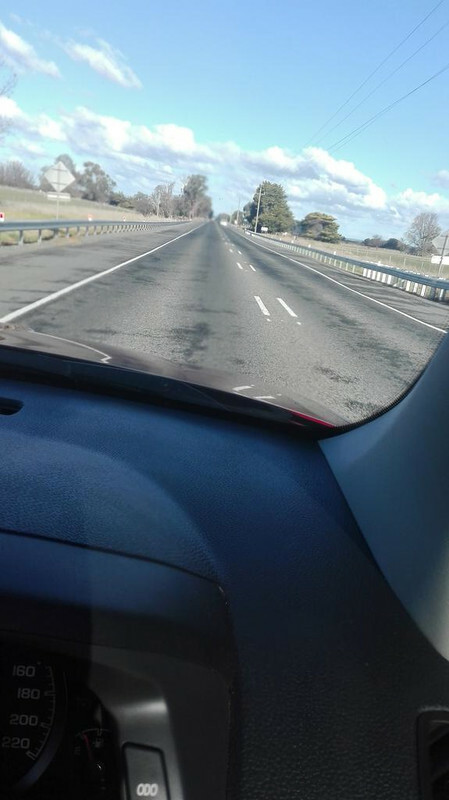 This is also on the Dukes hwy between Adelaide and Bordertown, this wide centre line treatment along with audible line markings alerts you if you stray into the oncoming lanes reckon it’s a great initiative. It's to provide more space between vehicles driving in the opposite direction, supposedly to reduce the number of head ons. Oh, so it's me they're aimed at. Makes it a more comfortable drive compared to wallowing up and down in the low side truck ruts. Seen heaps of them. I assumed it just keeps the traffic a little further apart. back in the mid 70's on the road from Rocky to Blackwater, i was off to the Coalmine the road was one lane 8ft wide then a 2ft drop off to the shoulder made of mud and sand 4ft wide,very heavy stuff,especially at night in the rain,lol..line or no line the bigger vehicle will take precedence over everything smaller! By that time I was carting general freight Sydney - Townsville/Cairns. Quite a lot of the road was single lane inc parts of the Newell between Moree and Goondiwindi, most of it from Moonie to Mount Morgan and then again north of Rocky. If scalies were operating in Rocky we'd shoot up through Kokotungo to Dingo and then up the Development Road to Mackay. Some time after I got out of trucks I lived at Emerald for a while so got to know the road from Rocky quite well. Buy me a beer and I'll tell you stories that will make your hair stand on end, lol. It's to help prevent head on collisions. Not helped by drivers taking photos whilst driving. The major problem with "retrofitting" these spaced lines is the quality of the drive. Most of the highways in Qld have the 2 track sunken grooves in them from years and years of heavy vehicles pounding the pavement. The new lines move you over to the edge of those grooves so you're always fighting the wheel to stay straight. As usual, a simple, good idea stuffed up from poor planning. When caravans are hogging the centre line it is very hard to see past them without showing your nose over the centre line. So you continually take a peek and move back over, and repeat. That double centre line makes it easy to see the road ahead. But I have other problems. My eyesight is not like it used to be because I have double vision, mild cataracts and cars in the distance now appear as blobs whereas I used to be able to recognise the type and brand of vehicle, dark coloured cars and shade on the road all contribute to making it difficult to sort out cars from trees and other stuff in the distance. I get by with the help of those yellow road signs that tell me a bend is coming up and now the double centre lines help me to see a straight section of road. I tow my overweight caravan at 80 kms/hr to save fuel and when I see the yellow signs I slow down to 60 because I can't see the actual advisory numbers. Then as I see the double lines in the distance I speed up to 100. People are very friendly on the roads these days, many people I don't even know toot me when they go past. I have been driving like this for years now trying to stay within the lane. Do you know how hard it is to stay up on two wheels like this for km after km. Thanks all for the info. At least it will save me money on worn sidewalls. It's so people who cross the centre line on every right turn can still cross it and feel like they are getting to their destination quicker while oncoming traffic are less concerned about head ons. If you cross the centre line on every right hand bend, please reevaluate your entire life. Cheers.